It's Sunday Post time! This is hosted by the awesome Caffeinated Book Reviewer and gives us all a chance to recap our week! So remember how last week I didn't get any books? Yeah - this isn't one of those weeks! Reading: Deadly Assets by Wendy Tyson and The Hexed by Heather Graham. I'm hoping to finish Ex Libris by Anne Fadiman and The Peril at End House by Agatha Christie soon though they've been kind of pushed aside lately. Listening: I finished Medium Raw by Anthony Bourdain which I loved (review coming up in the next couple of weeks) and just got Romancing the Duke by Tessa Dare but haven't had time to really listen to it yet. Watching: Still in a TV watching mood though it has slowed down a bit. I've been watching some documentaries on Smithsonian and we watched Monuments Men the other night. I enjoyed it but am really looking forward to the book. One of my grandfather's cousins was involved with this and I'm looking forward to finding out more. On Netflix I finished Crossing Jordan which had a great ending and am now binge watching Friends. I forgot how great the early seasons of the show are. I started watching it when I was in college and really identified with Rachel though now I identify more with Monica. Also, I discovered Hulu has the last seasons of Waking the Dead while Netflix only had the first 5. I'm very happy! We had the Tornado's Kindergarten orientation this week and I feel a bit like crying. I'm not sure how we got here so fast. We decided to keep him in the small private school that he's already in since they have a smaller class and a shorter day and then move him to public school (which is very good) for 1st grade. I love his teacher and I think he'll really enjoy Kindergarten but I'm so not ready! Eleanor was here Friday night which was nice. She was primarily here to get her taxes done but we went to dinner and were able to chat for a bit. She's having a good time living in a house with a bunch of other girls and lots of cats. It sounds like she's liking her classes more this semester which is nice to hear. Emma is starting to gear up for moving to college which is making me feel a little misty. She's excited and the girl she's going to be rooming with is great but it's still weird to think that this is that close! On a scary aside she got followed leaving work the other night by a couple of creepy guys that had been hitting on her. We've been discussing what the procedure is if it happens again. Luckily she's pretty paranoid and noticed the car early on but it's still kind of freaky. I've managed to stay healthy despite everyone else in the house being deathly ill for days (well except Paul - he felt bad for about 12 hours and that's pretty long for him The kid's immune system is insane) but I've gotten paranoid. My throat feels a little scratchy right now and I'm positive it's the end! I've heard Eat by Jim Gaffigan is funny, looking forward to your thoughts on that one. Have a great weekend! I keep putting Eat but it's actually Food. It's very funny and great as an audio! So far I'm still healthy and I'm so excited about my new books. Now I just need to find time to read them! Friends was so much fun, I rewatched it last year with my eldest daughter who loves it. It's scary, what you wrote about Emma, maybe she can find someone to accompany her on the way home ? Ignore your snarky husband, more books is good :) Have a great week ! I'm definitely pro books! He'll adjust :). It's definitely creepy about Emma. We've kind of gone over procedure more to hopefully minimize risk. Too many crazies! Thanks! I'm so excited about them. Thanks! So far so good on the health front! I'm excited about the Haynes book. I've heard good things about her and I've heard this one is a bit different. It's been years since I've read any if the Dorothy Martin books as well. I'm really looking forward to seeing where the series has gone! Aw. It's crazy how fast time can fly. That's great on his teacher being an awesome one. And yay for the book haul. So many new reads! I know! I want a pause button on time! Murder in Picadilly sounds intriguing. I do love the old mysteries! Big milestone - kindergarten for the last child! Life goes by in a wink of the eye! I was so excited to see those! I can't resist classic mysteries. I can't believe kindergarten is an issue! It feels like we are on fast forward. Oh good! I'm excited about them! Definitely no such thing as too many books. We just need to talk others into our way of thinking! I had a feeling there wouldn't be another week without incoming books! Several look very tempting. Maybe I need a dose of new books to jumpstart my reading again... it feels like a slump is coming on. This week isn't looking so book free either though maybe not quite as many this time! Oh, I have Under a Silent Moon on Sparky...can't wait! I loved Into the Darkest Corner. Enjoy! 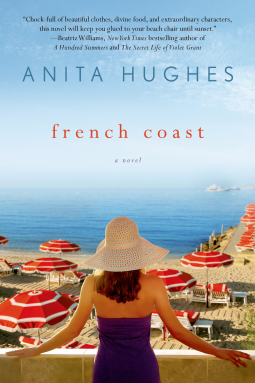 I also love the look of French Coast...I have been reading a lot of mysteries, too...time for something different. Thanks for sharing...and for visiting my blog. Sending the kids to kindergarten (or college) are definitely big moments...hang in there! I read Romancing the Duke so I hope you enjoy it. I love Tessa Dare and this was really good. You have a lot of great books this week. I'm reading Jackaby now and it's a nice break from all the romance novels I've been reading. So I'll check out your new mysteries. I only watched the first season of Walking Dead so I need to get caught up. I also have Netflix but mainly my youngest daughter uses it. I should check out what else is on there. Our office got hit hard with the flu and so far I haven't gotten sick. But there have been times when my throat starts hurting so I think I'm catching it. But it's all in my head so far. Hopefully we both will stay healthy! Oh *hugs*I sniffled when we did orientation too.I think you made a great call keeping him in the smaller setting. Husbands are so silly, one can Never have too many books. I use to love Friends. We are still catching up on shows we recorded and have been loving BBC's Masterpiece Mysteries of late. Hopefully the scratchy throat is from the heater running and you will be fine. I love Agatha Christie! I always seem to forget which books by her I have already read though, since it was way before goodreads...Have to keep track of that. Enjoy your new books and have a great week! Oh wow, you're having quite the week of big milestones. Big hug! I know how hard it is when they start kindergarten! And I don't want to even think about going way to college. How scary that your daughter got followed!!! I'm glad she's okay and that she told y'all and you're able to help her come up with an action plan for her if it happens again - hopefully it won't! Hope you don't get sick, fingers crossed! Have a great week! Awwe! Kindergarten is such a big deal. My youngest has been going to school since he was 3. He was born special needs and needed the therapies that were offered. Now that he is getting better and we are here in Connecticut, he only goes to school 4 days a week for 2.5 hours. I miss the me time, but it is so nice to have him all to myself while the others are in school. He is my baby, after all. One just starting school and one going off to college soon! That would make me misty eyed too. French Coast looks really good. I'll have to add that to my TBR. My husband had a really bad cold last week and I avoided it!! YES!! I was so happy about it. I don't know how I avoided it but I did. Oh, my dear, it is so hard to watch your children growing up - as well as very rewarding! I know you're not ready for the Tornado to start Kindergarten - but you will be fine. Let yourself be sad, but also think of some things you want to do with the time you'll have when he's in school, so you have good things to look forward to as well. Oooh! Agatha Christie. I hope you love it! Looks like you got some good books. I hope you don't end up getting sick. I've been feeling a little that way as well, but mine may be allergies. Thanks for stopping by! It's so hard having to deal with your baby heading off to school isn't it? Mine just started last week and even though it's all good now it was emotionally draining for the first week and a bit. But she's happy to be there and I can't help but be happy for her. Have a great week and enjoy your new books! It always seems that when I don't get a lot of books one week I make up for it next week and get ltos of them. You got a nice collection of books this week, I hope you'll enjoy them all. Sounds like your kids are entering new stages of their lives. Although it's good that the kindergarten teacher seems nice. I hope Tornado enjoys kindergarten. And that's scary Emma got followed by some creepy guys, hope that doesn't happen again! Hmmm, I know how to fix the husband's snark...get a taller bookcase. :P That's so scary that someone was following her! I'm glad you haven't managed to get sick and I hope your luck holds out! 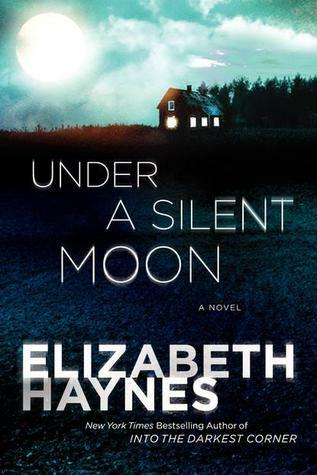 I am reading Under a Silent Moon right now. :-) My husband just started reading Jane Eyre and wasn't going to tell me. We were supposed to read it together, so I'm a little disappointed. But he did point out that I tend to read faster than him, which is why he decided to delay telling me. I guess I can't argue with that. It'll be be my third time reading it and his first. Wow lots of mysteries this week! I love Friends too! It's always good for putting me in a better mood when I feel off, or for just having on in the background when I don't want it to be too quiet. Kindergarten is both exciting and scary!